Hi I'm Damjan. This is a short summary of my interests in technology and free software. My home page is at https://damjan.softver.org.mk/ which also has links to github, twitter etc. 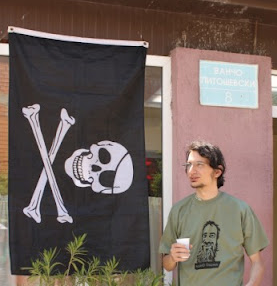 I've been a member of the "Free software Macedonia" NGO since the formation in 2002. One of the founders of the KIKA hackerspace. Also part of the Mozilla community in some ways. You can find me on irc, on the freenode network as "damjan", channels: #lugola, #nsnd, #hklbgd, #razmjenavjestina, #labos. Последната промена на страницава е извршена на 4 декември 2017 г. во 15:31 ч.